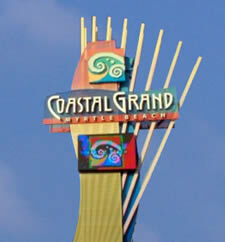 With more than 150 stores and restaurants, Coastal Grand Mall offers a unique shopping experience in the heart of Myrtle Beach and the Grand Strand of South Carolina. In addition to several large department stores, at the Coastal Grand Mall you will find a variety of shops offering clothing (men, women and children), shoes, jewelry, sporting goods, electronics, toys & games, health & beauty products, cellular services and much, much more. If you're shopping for clothes, in addition to Belk, Dillard's, JC Penney and Sears you'll find a myriad of shops including Old Navy, American Eagle, Hollister Co, Abercrombie & Fitch, Jos. A. Bank, Lane Bryant and Victoria's Secret. The mall is also home to several shops specializing in children's clothes including The Children's Place, abercrombie kids, Justice and Gymboree. Get a great deal on shoes at Foot Locker, Payless ShoeSource, Rack Room Shoes, The Shoe Dept. or Flip Flop Shops. For home furnishings, you'll find a variety of shops to choose from including Bed Bath & Beyond, Ethan Allen, Kirkland's, La-Z-Boy Galleries, Rooms to Go and Sleep Number by Select Comfort. Need new glasses or accessories? 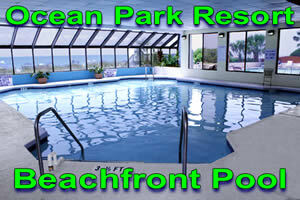 Coastal Grand has you covered with LensCrafters, Pearle Vision, Sears Optical or Visionworks. For books, cards and gifts head on over to Books-A-Million, Lifeway Christian Bookstore, Spencer Gifts, Jay's Hallmark or Things Remembered. Andy Owings Music Center, fye, GameStop and RadioShack, Jungle Fun and Toyland are waiting to provide everything you need if you're looking for electronics, music or games. At the Food Court, you can grab a sub or sandwich. If you're really hungry and want a sit down meal, you can choose from a variety of restaurants located around the mall including Abuelo's Mexican Restaurant, Cracker Barrel, Red Lobster, Sticky Fingers, Texas Roadhouse Grill or Red Robin Gourmet Burgers. Don't forget for movies, visit the Cinemark Theater for the latest releases. The Cinemark has all stadium seating and RealD 3D. For more great shopping in Myrtle Beach, visit the Market Common, the popular Broadway at the Beach complex and Barefoot Landing. Check out our collection of great deals on vacations rentals and luxury hotels on the Boulevard near the Coastal Grand Mall for your next vacation or Grand Strand shopping getaway.